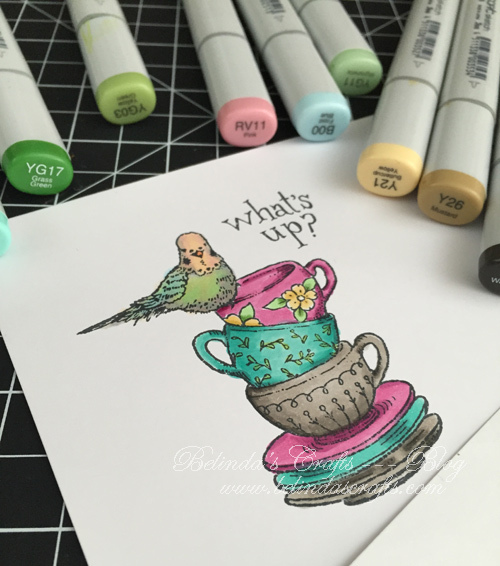 30-Day Coloring Challenge: Day 3 – What’s Up? Today, I am feeling a little yucky but I did push myself to fit some coloring in. This is where this challenge works wonders. Because I normally would have said, skip it, I’ll do it tomorrow. I have some new stamps from PowerPoppy that I have been anxious to color. They are small so I thought today would be the perfect day for them. 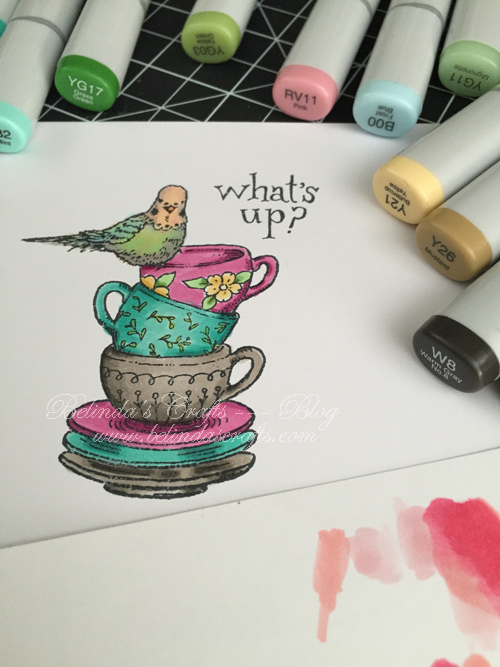 I love teacups, tea and all the fun rituals around tea so if I see something related in a stamp, I pretty much have to have it. The first thing I did was look for color inspiration. I think this is one of the areas I struggle with when I work with my Copics. I don’t look at an image and instantly know what color combos I will use. So often I will leave it to the professionals and look at paper packs or magazines. 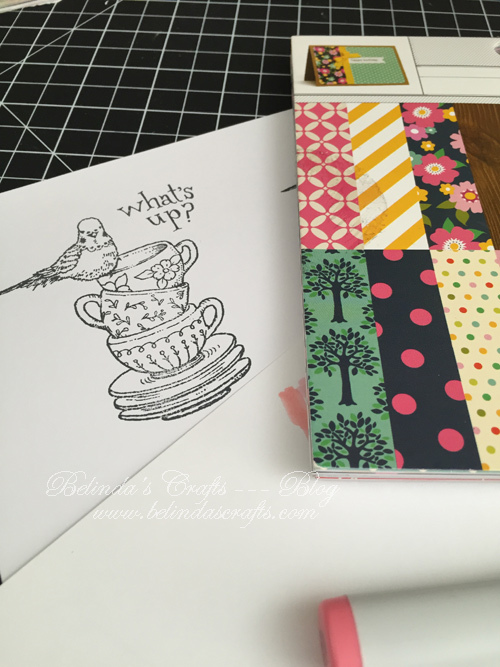 Since I have a zillion paper packs I usually grab them.Today I grabbed, American Crafts ‘Everyday’ paper pack. I bought this a long time ago at Target. I just fell in love with the vibrant colors. The next thing I did was look at a combo sheet I have to see if any of them were close to the colors I liked in the paper pack. Then I test them on scratch paper. I have scratch paper around when I color. One sheet to test color blends and the other goes under the image I am coloring to absorb the color as it bleeds.